AURORA, Ill. — The Schmidgall Family Foundation has awarded $39,600 to Aurora University to provide scholarships so that financially vulnerable high school students can attend the university’s new Michael J. Birck Innovation Engineering Program. Announced earlier this month, the Michael J. Birck Innovation Engineering Program is a collaborative effort between the university, local school districts, corporations and nonprofit organizations to advance STEM education — science, technology, engineering and mathematics — including among the area’s underserved student populations. The award will finance 36 scholarships over the next two years, according to Sharon Miller, chair of the Aurora University Department of Computer Science and Engineering. According to Miller, students in the program will learn concepts and processes that industry uses in designing and developing products as well as develop the interpersonal and communication skills required in today’s business world. Students will receive two undergraduate credits for each course they successfully complete. Miller noted that the Schmidgall Family Foundation has long supported STEM initiatives at Aurora University, having funded an after-school computer-coding club at the AU-based John C. Dunham STEM Partnership School. The Foundation supports efforts to assist individuals and families to break the cycle of poverty and enable self-sufficiency through education and personal development. “The Schmidgall Family Foundation is proud to support Aurora University and the John C. Dunham STEM School,” said Sarah Schmidgall. “The collaboration between academia, business and nonprofits makes the Michael J. Birck Innovative Engineering program an exceptional opportunity for high school students, and we’re pleased to assist in making this program accessible to students who require financial assistance. The Michael J. Birck Innovation Engineering Program will offer the first two of a series of four courses beginning this June. Applications are now being accepted for “Leading Design” (June 12-30) and “The Invention Process” (July 10-28). Both courses will run Monday through Friday from 8:30 to 11:30 a.m. Enrollment for each class is limited to 25 students entering grades 9 through 12. 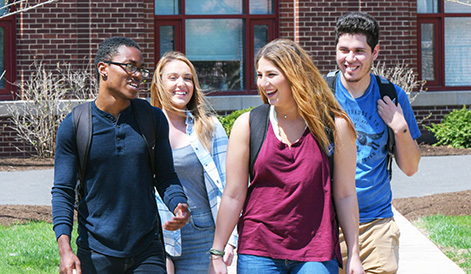 The application process for need-based scholarships for students from DuPage, Kane and Kendall counties is now open as well; recipients will be announced in late spring. To learn more, go to aurora.edu/innovation, or contact Sharon Miller at (630) 844-6194 or sjmiller@aurora.edu.